Only have limited time in Sydney on your trip and want to make the most of the outdoors? Check out the below - 10 things to do when outside in and around Sydney! You all know the Sydney Harbour Bridge, one of the most iconic landmarks in Sydney with its amazing arching iron structure boldly taking your eye away from everything but itself. You can drive over it, walk over it and even climb over it! Sydney Harbour Bridge Climb is definitely an activity to add to the list. It has different times throughout the day for you to experience the spectacular views over Sydney’s city skyline and sparkling harbour. The twilight session is one of the best times to head up the bridge as you get to enjoy the sunshine during the climb up, watch the sunset from the top and enjoy the stunning city lights on the descent. You also get your picture taken at the top, which you can purchase once you get back to the bottom. Such a cool keepsake! Sydney has some of the best beaches in the world and this is a fantastic way to take in the breathtaking landscape views from beach level and above on the cliffs. You can either go from Bondi to Bronte or Bronte to Bondi, it doesn’t matter! Either way there are fantastic cafes on either end where you can have a post walk smoothie or coffee. The walk takes you around through Tamarama Beach and along winding paths along the cliff faces. If you go around October/November an event called Sculpture by the Sea will be on where local artists create a masterpiece and have it on display along the walk. A very cool event to see and each year shows different art pieces that will blow you away. Ferries are a very popular mode of transport for commuters to get to and from work but its also a beautiful way of taking in Sydney’s Harbour with amazing houses, boats and little coves along the way. See if you can spot the Prime Minister’s house! Anytime of day is great to get on the ferry but if you are a sunset fanatic, you can get amazing views of the Harbour Bridge and Opera House with the spectacular colours pink, orange and yellow dancing across the sky. Always wanted to learn surfing, to be one of the cool guys sitting on their boards out in the ocean waiting for the mother wave? Or love being out in the surf for hours on end during summer? As mentioned already Sydney has some of the best beaches in the world and many of these are fantastic for surfing. The most common beaches for surfing in Sydney include Manly, Bondi, Curl Curl, and Freshwater beach. If you want to learn how to surf the following beaches are the best; Palm beach, Long Reef beach (part of Dee Why), Manly beach and Bondi beach. There are surf schools everywhere eagerly waiting to show you the ropes…or should I say waves! 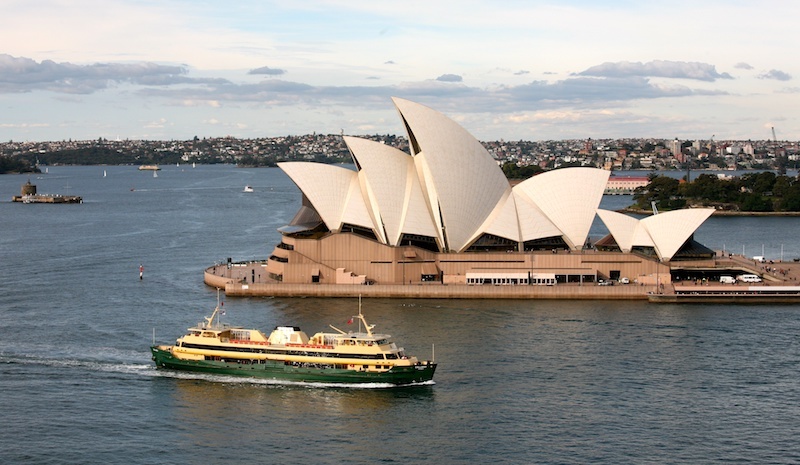 Take a ferry from Circular Quay across to Taronga Zoo for the day. This amazing zoo has a large variety of animals from Australia & around the world and they are just waiting for you to stop by and say hello. If you want to splurge on your trip to the zoo you can actually stay overnight in their awesome package ‘Roar and Snore’. Included in the roar and snore package is a night safari, getting you up close & personal with some friendly creatures and a beautiful dinner/breakfast. Waking up in your own private tent with a view over the city is a pretty cool experience to be a part of. Yes you can go whitewater rafting in Sydney! Located in Penrith at the Sydney 2000 Olympic Games site, you can whitewater raft or kayak in the only man-made river of its kind in the Southern Hemisphere. Available from September to June, jump on the guided rafting for 90 minutes and try your best to stay afloat! An awesome day out when it is sunny and hot…just what you expect from an Australian Summer. 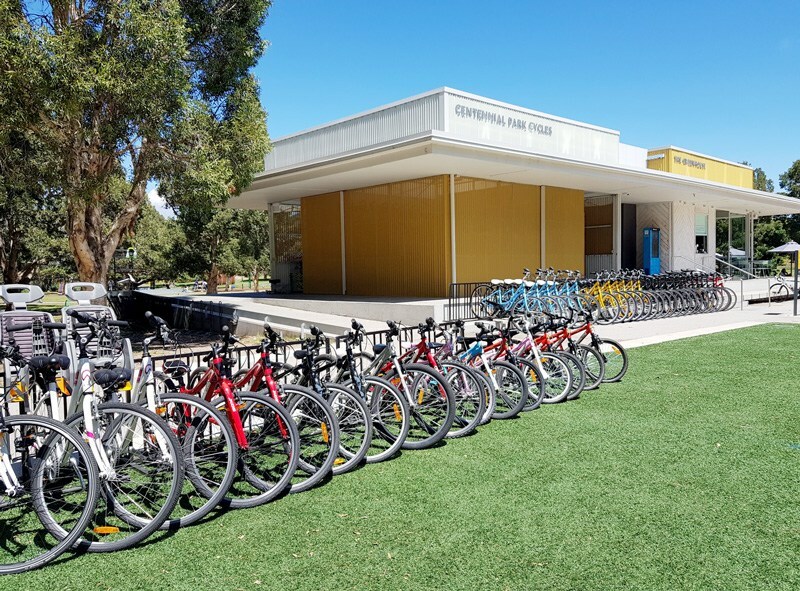 There are various bike rentals dotted all over the city available for hire to ride anywhere you want but one place in particular that is a treat to ride through is Centennial Parklands, only 4kms from the city centre. Centennial Parklands has approximately 3kms of cycling path for you to enjoy, (don’t worry it is all mostly flat). You will be greeted by other cyclists, runners and families out on their daily walks enjoying the ponds, beautiful flowerbeds and an array of birds and wild ducks. If you get thirsty on your cycle there is a café where you can grab a coffee or cold beverage, maybe even a slice of yummy banana bread. For the best kayak or paddleboard experience head to Pittwater, at the edge of the Ku-ring-gai National Park, only 40 minutes from Sydney’s centre. You can choose the right type of kayak or SUP (stand-up paddleboard) to suit your needs and also how long you want to hire it for with various options available to you. An awesome aspect about hiring here is that the water is still and best suited for these types of activities. You also get given a map to help you maneuver your way through the waterways, and to help you get back to the hire shed! Who doesn’t love a picnic! Head to the local supermarket and grab all your favourites, including a picnic blanket, and head to Hyde Park, Australia’s oldest Park. Located right in the city, Hyde Park boasts beautiful big shady trees, stunning water features and acres of lush grass perfect for setting up your picnic. A great spot for people watching, you will see people commuting to and from work, sunbathing in their lunch breaks and tourists marvelling at the amazing greenery and memorial statues that surround them. Take your book, your snacks and don’t forget your sunnies! Wentworth Falls is located in the Blue Mountains, approximately 1.5 hours from Sydney’s centre. If you love hiking you will love the great walking paths and the stunning waterfalls. Two paths will give you the best views of the waterfalls and they are Weeping Rock and Fletchers lookout so these are a definite must on your trip. Make sure to take water and some snacks!